1. Before use this machine, put it in a stable flat place which can hold its weight. minutes people can walk into the room. tube and put into the water. 7. Attention,the machine should be placed higher than the water, incase that the water reflux occur. Working light, Power light etc. 3. Sea food factory: Remove smell of sea food factory and kill bacterias , disinfect production water supply. 4. Slaughtering: Remove smell of slaughtering and kill bacterias, disinfect production water supply. 5. 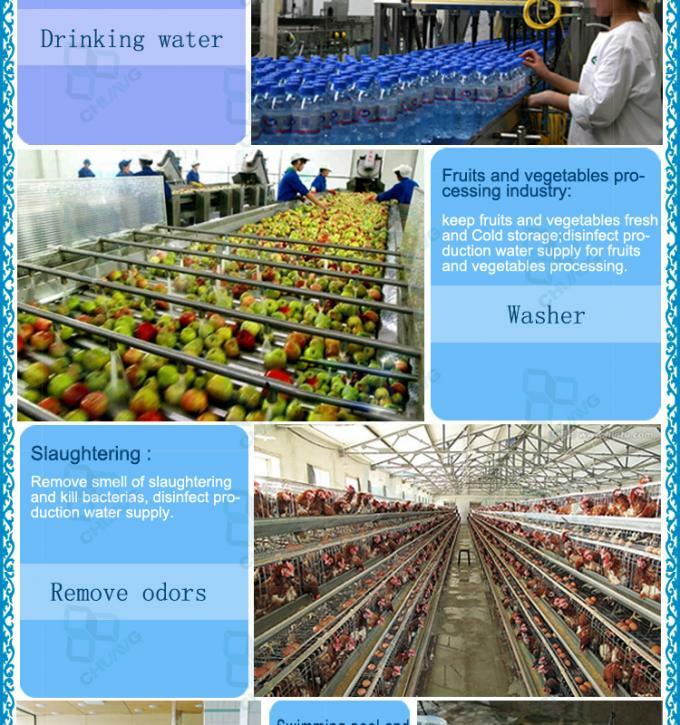 Poultry factory: Remove smell of poultry factory and kill bacterias ,disinfect water for poultry feeding. 6. Commercial use in House, hotel, Office, KTV, Super Market, Fruit shop etc. Air Purifier: Remove formaldehyde, benzene compounds, Smoke, Odors, Molds, Virus to fresh air. Water purifier: Disinfect production Water supply. 4. It can be Movable with wheels & Handles or Wall mounted. 5. No breakdown with easy operation and maintenance. ♦ Is ozone harmful to human body ? So far there is no one dead reported caused by ozone poisoning. 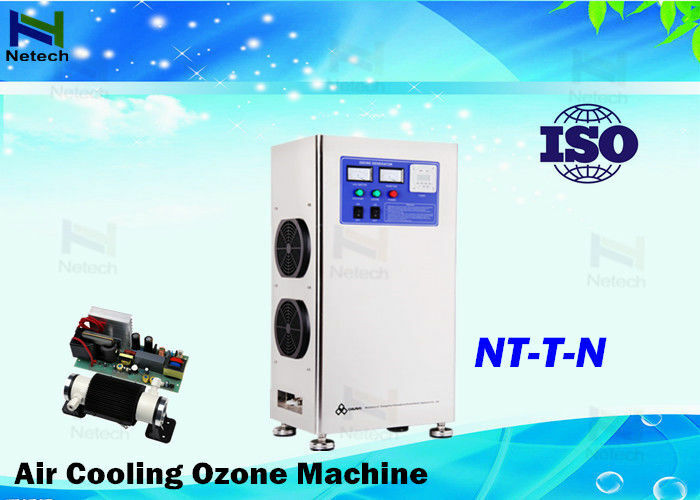 ♦ Does the ozone generator work efficiently ? Undeniably, ozone can sterilize and remove odor and formaldehyde. Every procedure has personnel inspection. All the products must be tested and qualified before packaging. We provide 12month free maintenance. Is ozone harmful to human body ? So far there is no one dealth reported caused by ozone poisoning. 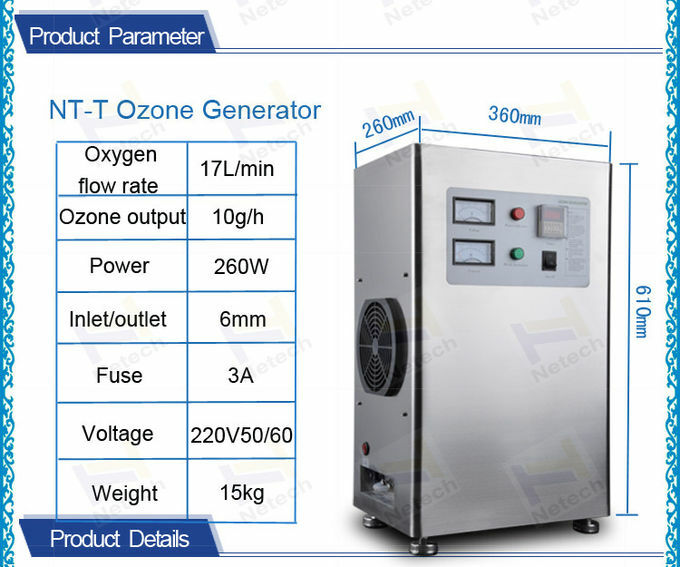 Does the ozone generator work efficently ? bacimethrin efficently and resolve the harmful material in a short time.